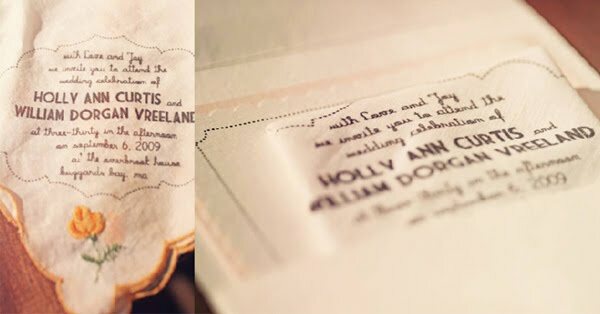 I’ve seen many guestbook variations and alternatives that I think are great: recipe cards, using typewriters, quilts, postcards, guestbooks made with engagement photos of the couple or a book where guests take polaroids of themselves and write messages next to their photo. There are so many fun reasons not to use a boring guestbook these days. I think my favorite idea is one I just saw last week on a real wedding feature on Green Wedding Shoes. What an original idea and neat piece of art to hang in your home after the wedding! 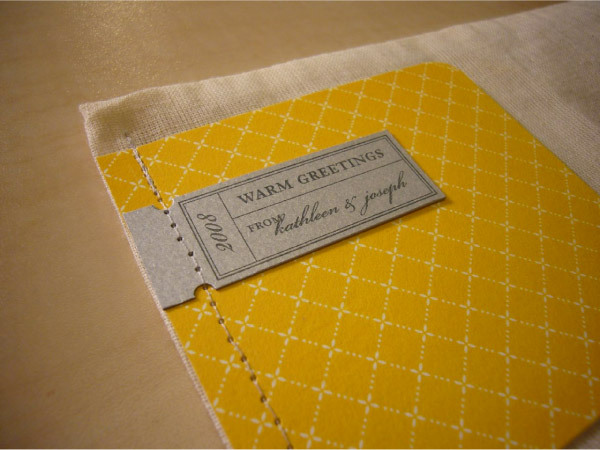 You could even do this idea, and then let guests write you messages on notecards and keep them in a special place in your home if you want more than a signature and ‘leaf’ fingerprint. 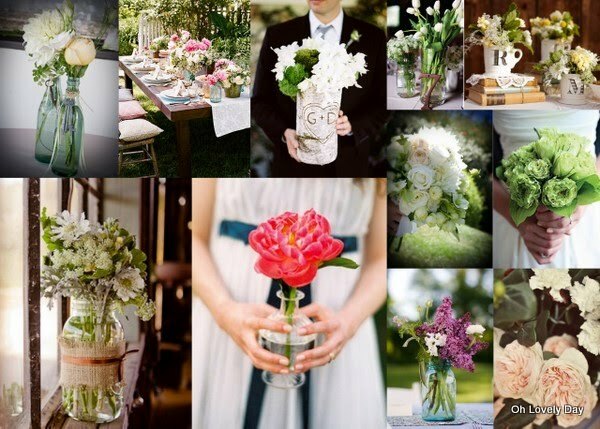 This idea is especially great if you are having an outdoorsy wedding or are incorporating nature into your decor. Sometimes I see a single photograph that I just love or am completely inspired by. In an effort to dislocate my laptop from my lap on the weekends and spend more time having fun with my husband, I am going to start posting one every Saturday in lieu of a full post. They might be photos a friend has taken, or that I took myself, or that I have found from one of my favorite blogs. Today I am posting one of my favorite photos from one of my favorite photgraphers. Photo by Elizabeth Messina via her blog, Kiss the Groom. 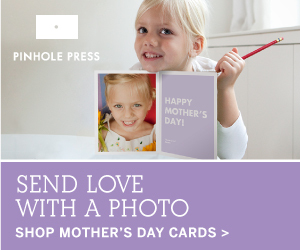 Photos by Jose Villa via Style Me Pretty. See the full feature here. I mean, look at those chandeliers! And the florals. I’m in love! I just had to share a blog post that combines two blogs that I love. 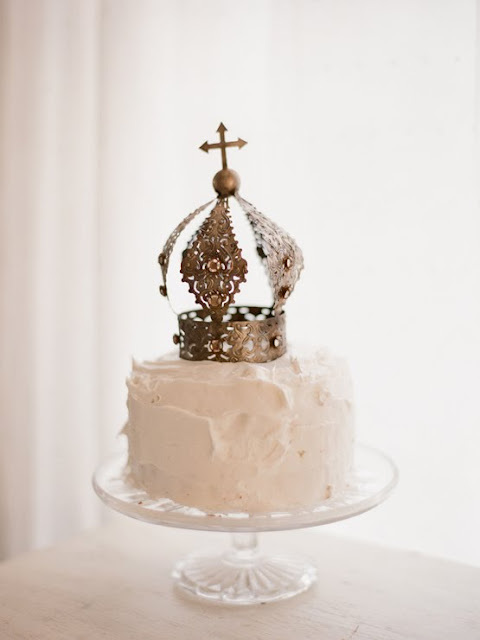 Nole from Oh So Beautiful Paper was the guest blogger yesterday at The Bride’s Cafe. 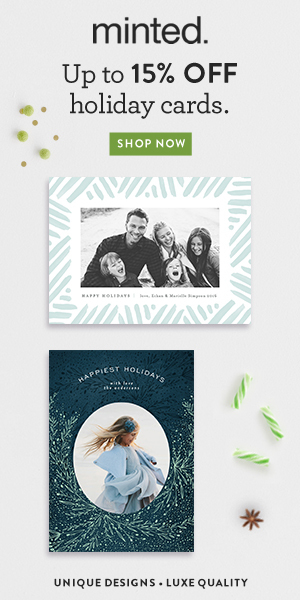 Nole’s wedding was a source of inspiration for me when planning my wedding (check it out here…it is absolute perfection), and her blog always features pretty paper, stationery, and invitations, which are some of my favorite things. Below are Nole’s words of wisdom regarding Save the Dates and photos of the ideas she shared. To see the full feature on The Bride’s Cafe, go here. The keys are great because you can incorporate them into your wedding in so many different ways…and they just happen to be one of the elements I used throughout my own wedding. There is something so simple and chic about silhouettes! 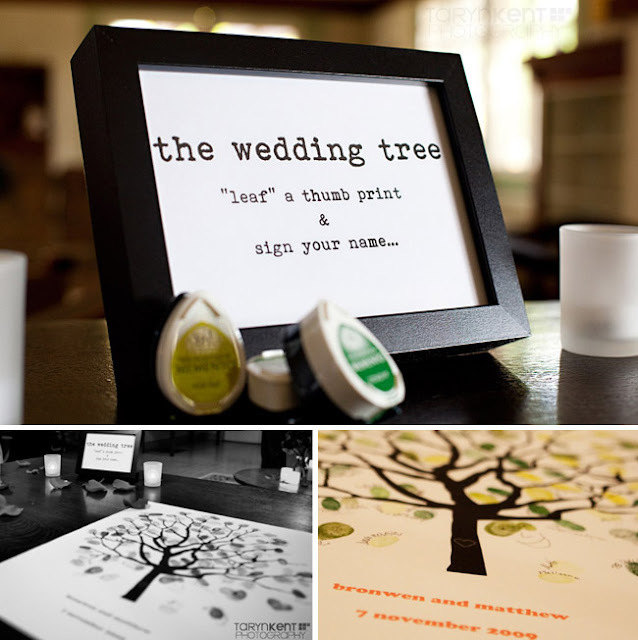 They could also be incorporated throughout your wedding. 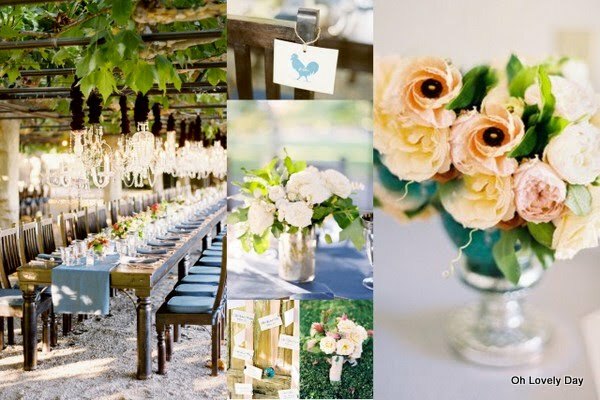 A great example of that can be found here and here, in a wedding featured on Style Me Pretty. 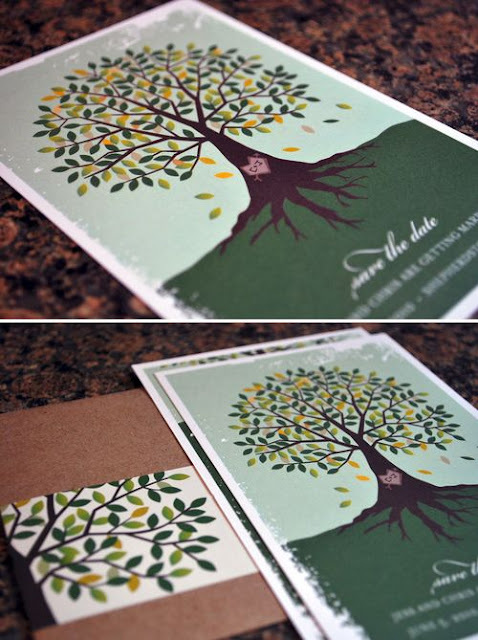 One other Save the Date idea I absolutely love is another I found on Nole’s blog. 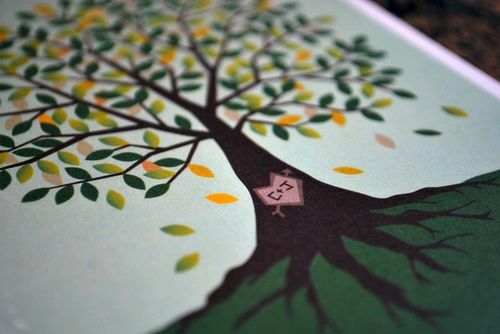 I love the initials carved into the tree (maybe I am biased since they are mine and my husband’s initials). 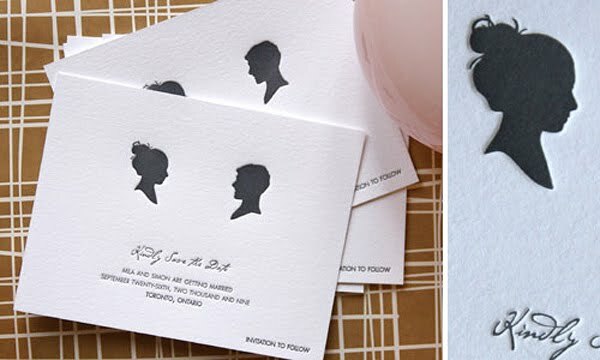 I think every bride should send Save the Dates because they are fun and a great way to showcase your style and personality. 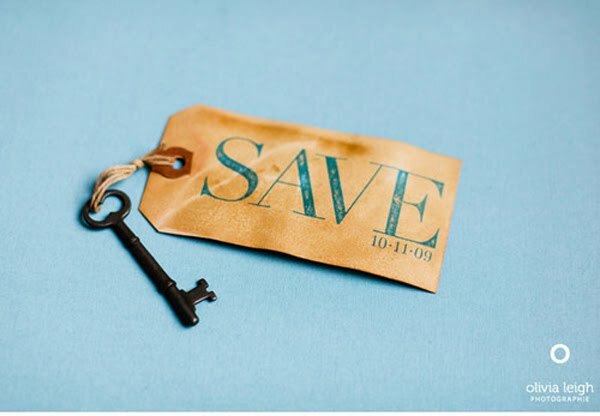 Even if your budget is tight, there are lots of places, especially on Etsy, where you can find very affordable Save the Dates. 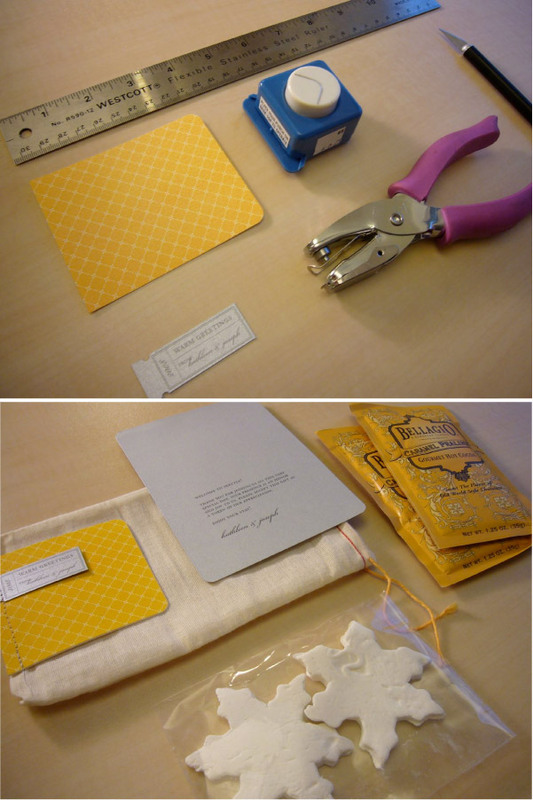 I got mine from Tilde Designs on Etsy, and not only were they very affordable, but they were lovely!